Soccer Referee Socks. Made with 70% Nylon, 20% Acrylic and 10% Lycra Spandex. Durable nylon for strength and abrasion resistance. Double welt top for better stay up performance . Ankle support promotes stability . Arch support for better fit and increased circulation . Thin cushion foot. ''Fold-over'' style top. 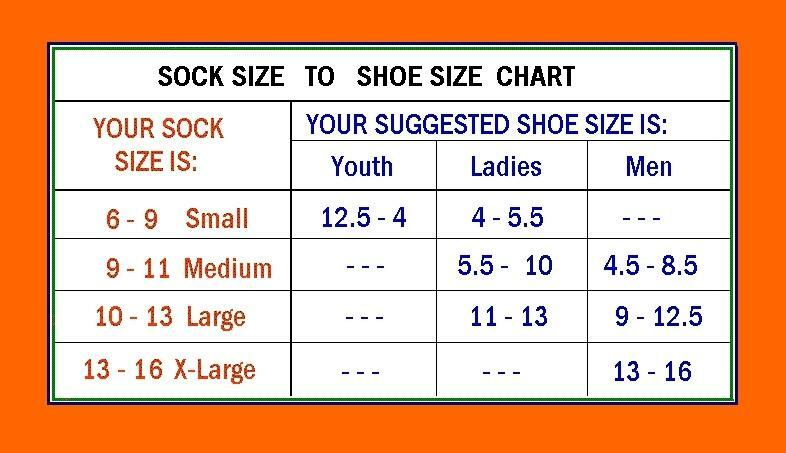 Compare sock to shoe size.